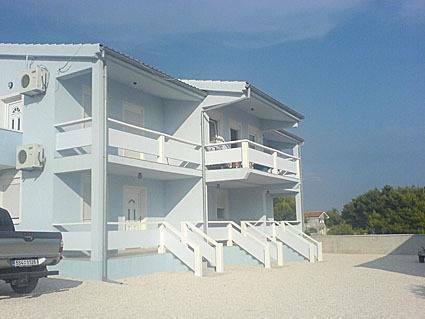 Designed 3 bedroom penthouse in the quiet part of old town od Zadar. It has 3 bedrooms, fully equipped kitchen, bathroom and separate toilet, 3 balcony and large (40m2) living room, high ceiling, big sofa, 2 plasma TV and high speed internet, and as interior design lovers you will find lots of contemporary design pieces as B&B, Minotti, Flexform, Saarinen, Floss..... Kids have one playroom that can be used as a bedroom too. We are family of four, my husband is sport manager (ex basketball player) and I am small business owner. We are Sinisa and Edita and we have two children: Jakov, 11y and Petra 6 y old. Jakov is a great student and plays basketball and Petra is first grade, plays basketball too and goes to ballet. My husband and I are big interior design lovers and we designed our home by ourselves. We lived in many countries and we love to travel and meet new people, we want to show to our children as much a we can. We are open for many destination so please do not hesitate to surprise us! 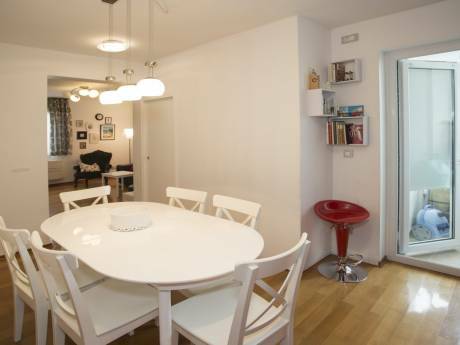 Apartment is in the peaceful part of the old city, 50 meters from the sea and walking promenade. It has a beautiful view on the park and old city, everything is few steps away, all main attractions: Sea organs, St Donat and Forum, The Cathedral of St Anastasia, all museums. Nearby is food store, restaurants, pizzeria and just 5 min walk away a big food market with all fresh fruit and vegetables. Kids playground few min away also. On the Forum during the summer all main events are being held. Plitvice Lakes, Kornati and Krka. Sibenik and Split are also not far away for a day trip. 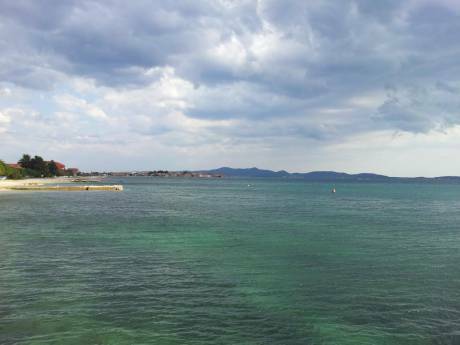 Zadar have many beaches around, all in 20 min drive. Small town for great vacation!